The Spinbal Cymbal Spinner is a unique and innovative product which can be added to any cymbal stand. The Spinbal Spinner allows drummers to spin their cymbals, offering a unique sound and a striking visual effect. 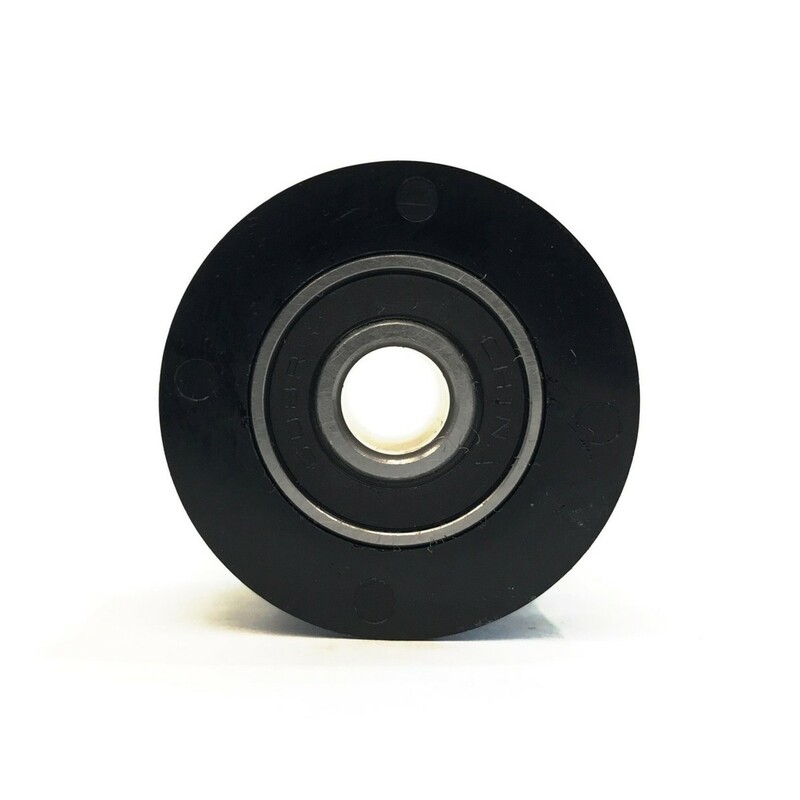 The 8mm bearing ensures your cymbal will remain in motion for even longer from a single spin, and the included cymbal felt washers keep your cymbal safe and protected throughout your performance. The Spinbal Cymbal Spinner offers a unique twist to any cymbal setup and can be used to create stunning visual effects whilst transforming your sounds. The science behind the sound difference is down to the Doppler effect, where an observer or listener will experience a change in frequency when moving relative to the source, in this case: the cymbal. Ideal for players experimenting with new, creative sounds in their setup, the Spinbal Cymbal Spinner makes a great addition to any setup and is available at an extremely reasonable price point. Spinbal is the result of a discovery made by Guy Juravich, the founder and chief designer of Spinbal, whilst he was on tour in 2013. Originally, Guy would spin his cymbals purely for visual effect whilst on stage, however, he soon realised that his cymbals were creating different sounds altogether. Guy was experiencing a rich vibrato from his cymbals, however, it proved hard to maintain through his performances due to the design of existing cymbal holders which are not built to spin. After his tour, Guy returned to Philadelphia and immediately began experimenting and testing with different techniques for spinning cymbals. After months with little success, it was during 2014-2015 when Guy made his breakthrough after being involved in a collision with a skateboarder. He realised that the internal diameter of a skateboard bearing would be similar or the same as that of a cymbal stand, at 8mm. After many more months of research and development, Guy had his own working prototype of the Spinbal Spinner which would keep a cymbal spinning for over 10 minutes. The Spinner is currently a great success and Spinbal are continuing to expand their product range with other innovations such as their Spinbal Patina Solution and DIY Cymbal Patina Kit. 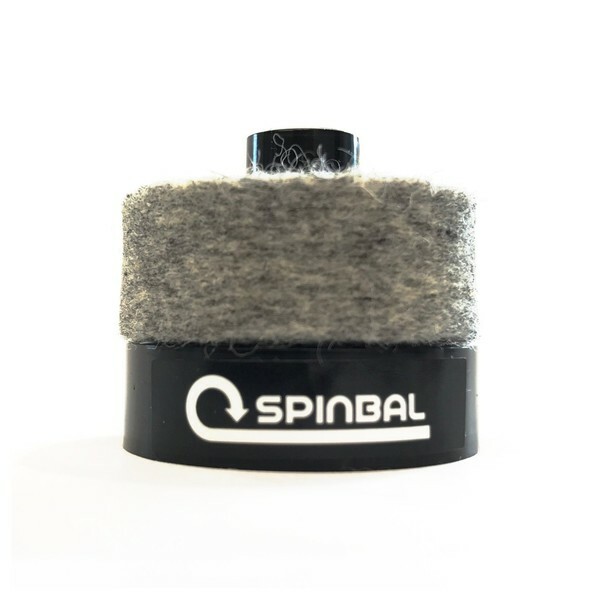 Extra felt washers are also available for the Spinbal Cymbal Spinner.